Used for traffic management situations to highlight change in traffic conditions and work zones and can be used to advertise retail businesses and shopping outlets. Perfect for event management and advertising. Trailer mounted for ease of transport, solar powered with remote programming available. Comes with 5 colours and offers multi frame/page display through continuous looping. 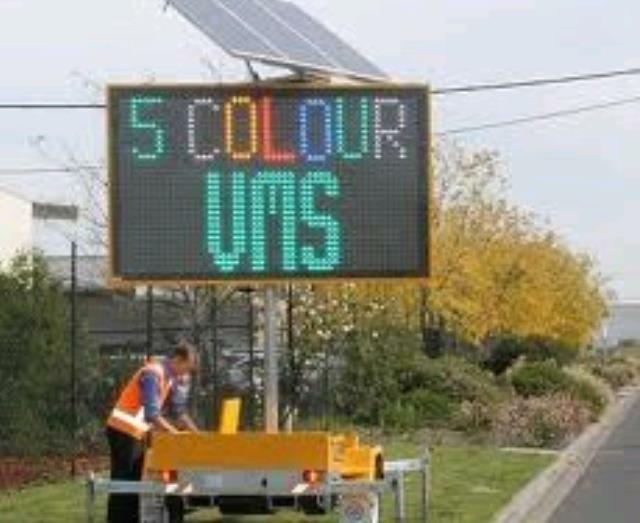 * Please call us for any questions on our variable message board hire & rentals, serving Perth & Western Australia.